This is a question I ask myself at some point with every painting. Sometimes it is easy to decide that yes, I have done enough and I should stop now. Sometimes it is not so easy. Usually, I will allow myself to ‘sleep on it’ for a while and see the painting afresh when I look at it first thing in the morning, for example. 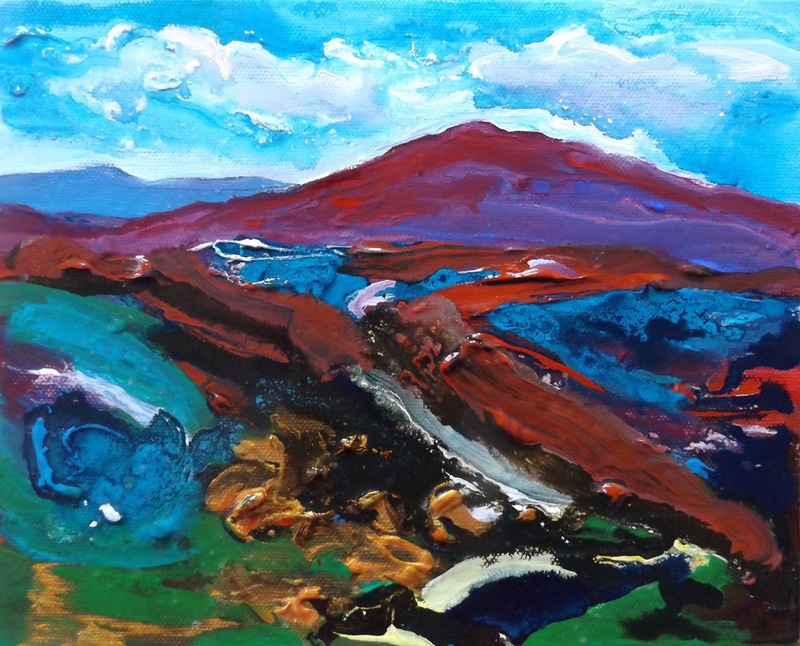 Occasionally, G will look over my shoulder and say – ‘don’t touch that, put your brushes down, it’s done’. One such time, I was incredulous that this was his opinion when I had thought that I was only getting started! (Btw, G is a full-time painter and gallery owner so I do put good stock in his opinions). The thing to be avoided at all costs is overworking a painting and so the quality that I am always striving for myself is a freshness of touch. I believe that this comes with practice and confidence although it is by no means guaranteed every time, no matter how well practiced and confident one might feel! The viewer is always entitled to disagree with the results in any case and I do like to get the opinion of others. 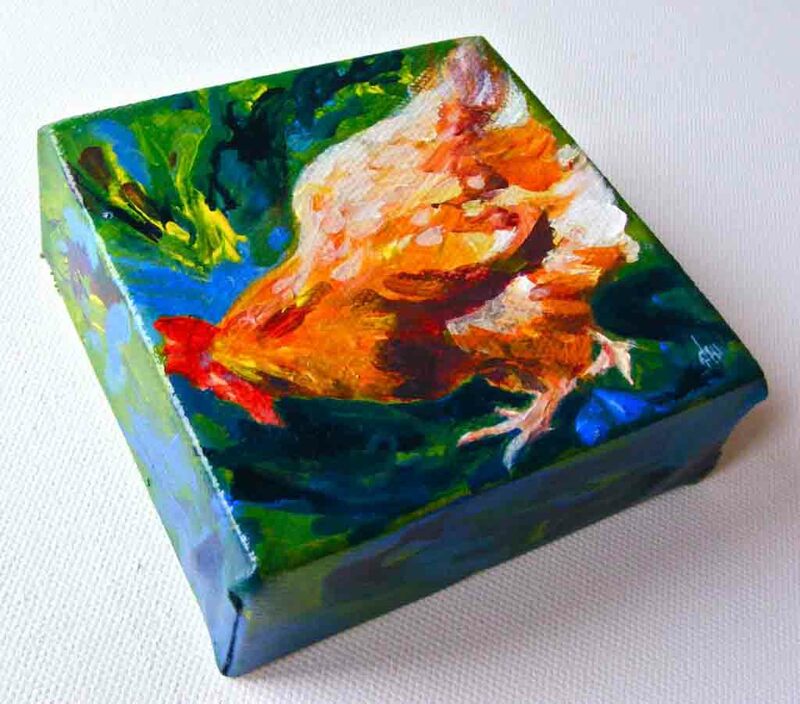 So, in this vein, I present to you the hen painting I started last week. This first photo was taken at an in between stage – I was reluctant to do much with the hen figure here and just added a little to the background. This is the finished painting below taken from two angles. 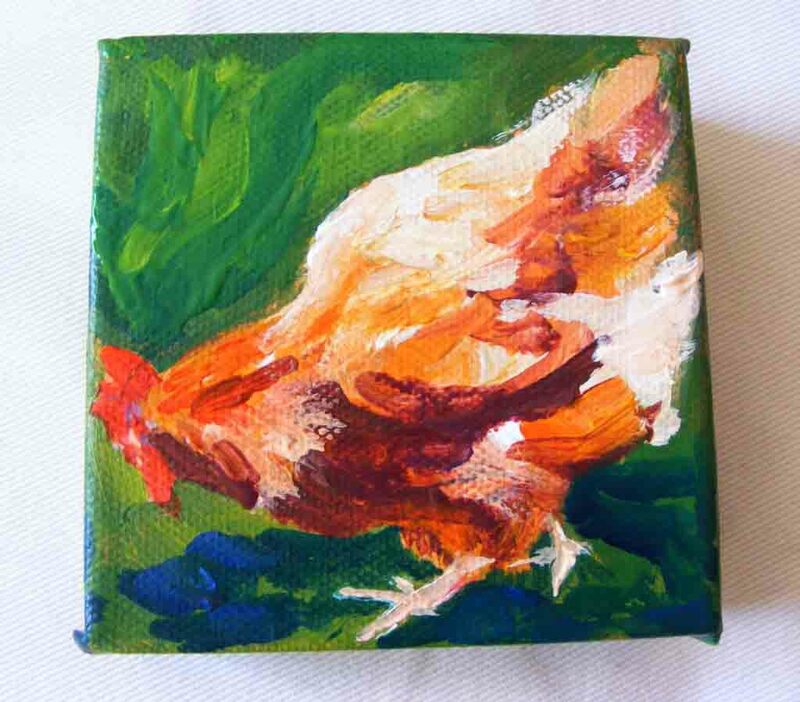 I’ve used a 4 x 4 ” canvas which is almost 1. 5″ deep. I am enjoying working on these little blocks because straight away, the painting becomes a solid thing. I continue the background loosely around the edges, shown in the last photograph to really maximize the character of the painting as an object. The question remains however, is it finished? I think so in this case but what do you think? 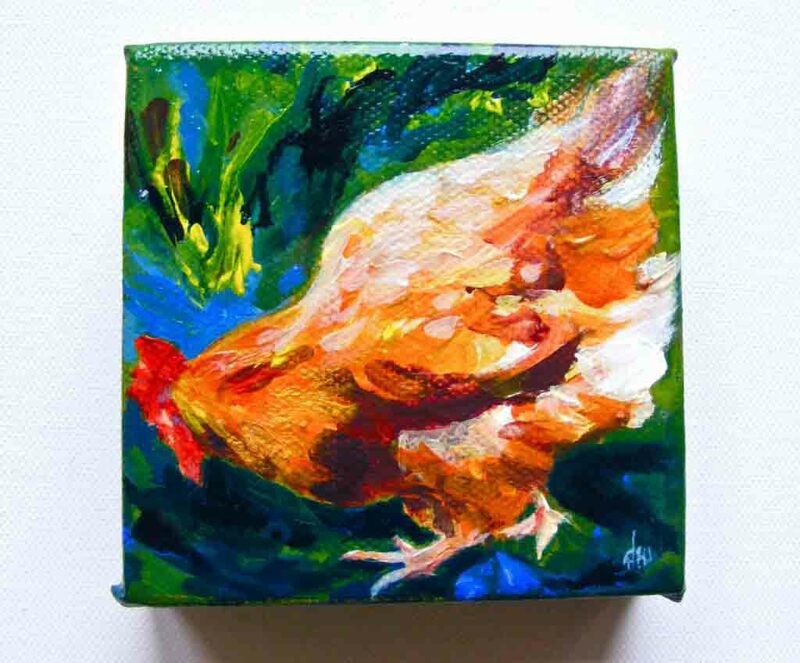 This entry was posted in Paintings and tagged acrylic ink, acrylic paint, canvas, clifden, deborah watkins, hens, lavelle art gallery, painting.